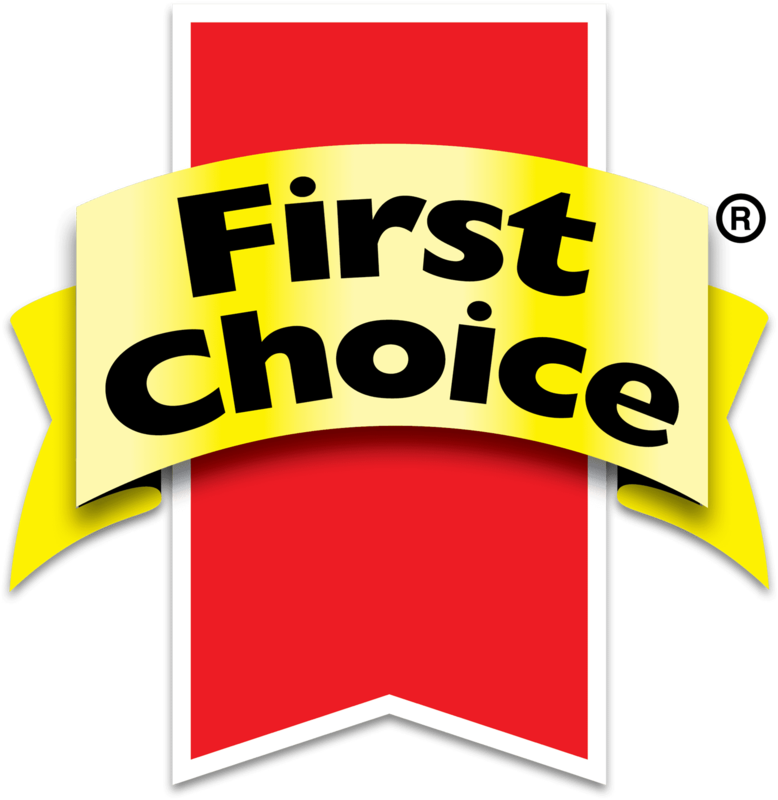 Woodlands Dairy is one of the largest manufacturers of UHT milk in South Africa, marketed under the brand FIRST CHOICE. The company consists of a team of more than 1 000 people and believes in innovative thinking, the speedy development of new products and excellent customer service. Woodlands Dairy prides itself on the implementation of social responsibility projects and giving back to the surrounding communities. The school made a plea to Woodlands Dairy to repair their building but building contractors appointed by the company found that the building was irreparable. The land was purchased by the Lex Gutsche Education Trust and in partnership with Woodlands Dairy the old building was demolished and building of the new school is underway. The new school will open its doors in 2017. This organisation visits families in KwaNomzamo who are infected and affected by Aids and who receive no monthly income. Woodlands Dairy assists with food parcels for 10 families every month for a year and this is the 5th year of involvement. Selamma Oersen, who is well known in the community for assisting children and the elderly, feeds approximately 160 people in the Sewende Laan community, three times a week. Woodlands Dairy admires her effort and donates groceries and 20 loaves of bread each week. The company has assisted the soup kitchen since 2009. 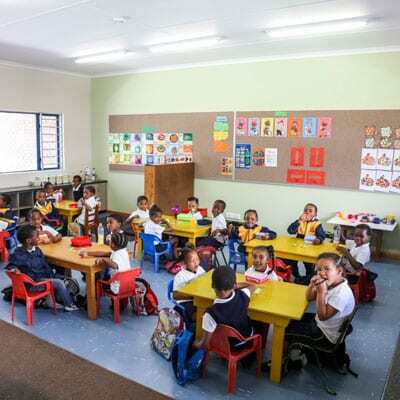 The Educare Centre in Arcadia was established in 2015 and the work that the owner, Aletta Korkee of the crèche has put into the project to date, speaks volumes of the care she has for the children she educates. This inspired Woodlands Dairy to assist her in making the project a success. Space was limited and a Wendy House was purchased and installed. Equipment needed such as a guillotine, printer, laminator, tables, chairs and educational materials were also purchased. This year we will assist with partitions and doors for their ablution facilities so that children have privacy when they use the facilities. Run by Hennie Visser or ‘Oom Hennie’ as he is known in the suburb of Gill Markus, this is a non-profit organisation with the aim of bringing joy to the lives of children aged 1 – 16 years old. They meet on a weekly basis, where the children participate in a fun programme and are given something to eat. Woodlands Dairy ensures that there is a good health drink for each child, which can vary in numbers of up to 300 per week. The company plans to get involved with a Back to School Project in the first quarter of next year, with the supply of windbreakers and jerseys. In the previous Back-to-School Project, Woodlands Dairy supplied funds for 74 pairs of school shoes. This year in February it provided school shoes, windbreakers and other school clothes. When the Bel-El Church realised how many children came from school to a home where both parents were either unemployed or not around to give them anything to eat, they started a soup kitchen to take care of and feed 100 kids and homeless people, who sleep on the street in the vicinity of the church. Supplies for the soup kitchen are provided on a monthly basis. Wilma Busher runs a day-care centre for 15 toddlers aged between 1 and 3 in Kruisfontein. She cares for these children for a minimal fee per month to assist parents who cannot afford to pay elaborate fees to keep their children safe while they are at work. In the past, assistance was provided by purchasing tables and chairs for the children to work on as they used to do all their activities on the cold floor. This year we will purchase educational equipment as the school lacks these at present. This project is a planned programme of activities designed to promote well-being through social and health-related services of the KwaNomzamo Community. It is a day-care centre for pensioners. Their vision is to provide due care to the lives of the helpless, neglected and destitute pensioners so that they live as valued members of society with a peace of mind. 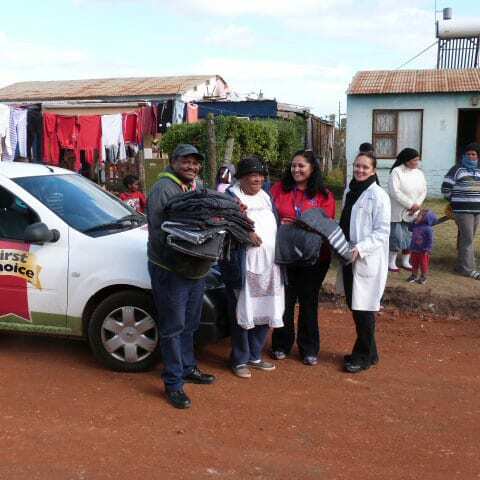 To assist with their social activities we will purchase games, wool, knitting needles, blankets, plates and cups. The centre, situated in Kruisfontein, takes the form of a club for senior members, who meet three times per week to connect with other individuals of the same age and enjoy lectures and recreational activities. The company did some refurbishments, including buying an urn, sport and kitchen equipment. The senior citizens also receive groceries on a monthly basis. Nkqubela Créche in KwNomzamo, operated by Margaret Mtsele, caters for 30 children from 1 to 4 years and has three teachers. We have assisted the créche with stationery, blankets, mattresses and crockery in the past. This year we will assist Margaret by upskilling the three staff. With the growing number of children who are at home without a carer during the day, Woodlands Dairy assisted by providing this project with a Wendy House, because the space they occupied was too small. Last year, the school had a need for tables and chairs. Because we know that colour brightens up a room we opted to purchase tables and chairs in a variety of colours. The suburb of Vaaldam, where the facility is located, is very cold during winter and we are happy that the little ones will not have to sit on the cold floor anymore. This year equipment to build a play park will be purchased. The crèche was established in 2001. 55 Kids are cared for and the institution receives no government subsidy. School fees paid by parents are minimal and they often struggle to maintain the building they occupy. We identified that security is a risk at the crèche. The doors are always closed for fear that the children will run outside and go missing. Security gates will be purchased for this project. The toilet cisterns are broken and it is time-consuming to fill it with water during the ablution routine for 55 children. New cisterns will be purchased. The main purpose of the centre is to provide a safe and secure place for the kids of Arcadia and surrounding areas. They care for 70 children. Currently, children access the facility via the kitchen which poses a safety risk. We will purchase a Wendy House which will be equipped with the necessary ablution and sanitation facilities. Previously we assisted with supplying a fitted kitchen and appliances and this year we will assist with educational material, stationary and eight pin boards for classrooms. The company will purchase stationary, sport and educational material. The organisation serves to sustain the development of children in disadvantaged communities in Jeffrey’s Bay. They strive to care for and support children through education and nutrition. They aim to create a safe environment for these children. We will supply the school with 25 web beds. This community project, based in Pellsrus, caters to the educational needs of youngsters, who have passed the school going age and are battling to cope with their studies and have not completed their schooling. This is also a Drop-In Centre in the afternoons to between 50 – 70 children, who are offered a sandwich lunch. We have assisted this project with financing a portion of the costs of repairs and maintenance to their building and the training of facilitators in the past. We will purchase a gas stove with oven and a TV for their centre. The clinic, situated in Central is independently run, but they work closely with the Department of Health to make ante and post-natal care, baby care, family planning, pap smears and cancer screening accessible. HIV/Aids and TB testing play an important role in their work with the women and children who visit the clinic as they implement protocols for the prevention of transmission of HIV from pregnant mothers to their children. A good filing system is vital to the administration of the clinic. The clinic was in need of an extra filing cabinet and office furniture for the midwife, sister and reception, which we supplied in 2015. A Wendy House was recently donated to the clinic to be used as an additional weighing room and a second-hand shop. Fittings are needed for this area which Woodlands Dairy will supply. This church feeds between 40 and 80 children from its premises, three times per week. Aside from the provision of food, they assist with attendance and also coordinate recreational activities and programmes that promote healthy, functional families. Woodlands Dairy recognised the need in the community and supply groceries once a month to assist them. This is a humanitarian initiative that strives to bring relief to the country’s less fortunate and aged, irrespective of class, colour or culture. During winter they have a blanket drive which we will support by supplying a minimum of 100 blankets. Margaret Vena feeds approximately 80 children every day of the year with breakfast from the kitchen of her home in Sea Vista and we supply her with 80 litres of First Choice milk, as well as the ingredients for the porridge, once a month. We purchased an urn to ease the burden of boiling water for the two large pots of porridge she makes every day. This year we will continue supplying porridge ingredients. Woodlands Dairy is supporting Margaret for the 5th year.